sheep to shawl, February 7! It’s been a busy few months of building our ADU and working on a LOT of non-craft projects, but I’m so excited that I’ll be speaking at a lovely event honoring Pendleton Woolen Mills this weekend, and sharing projects from my book in partnership with them, Hand-Stitched Home! If you’re local, I hope to see you there! 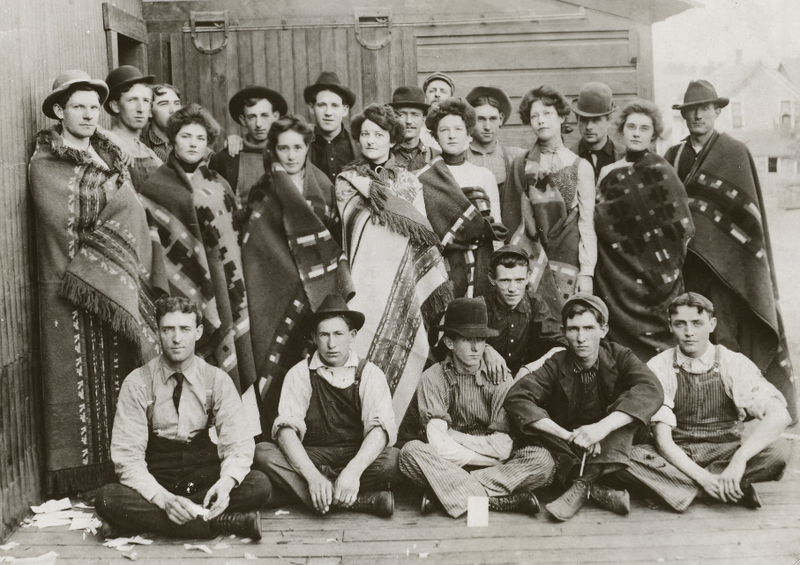 Join author Susan Beal to learn the fascinating history of Oregon’s own treasure Pendleton Woolen Mills, and get inspired to do your own sewing and quilting with wool with her book in partnership with Pendleton, Hand-Stitched Home! 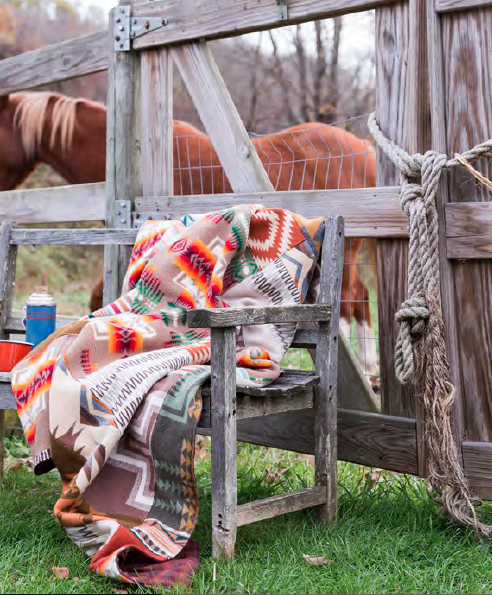 Susan will share a slideshow of beautiful archival photos from the company’s century of history; stunning jacquard, solid, and plaid fabrics; and lots of projects from her book, from wool shawls and scarves to quilts and blankets. 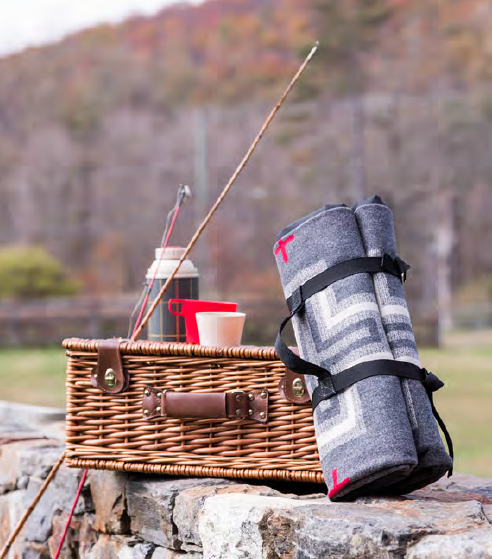 The Pendleton Woolen Mill Store is generously offering a gift bag for attendees. 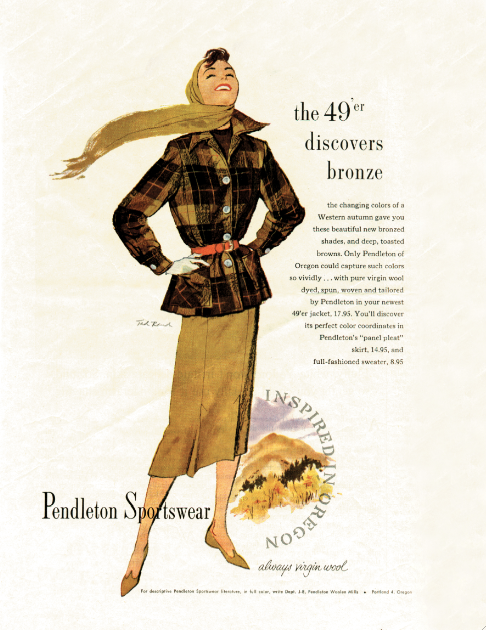 I’ll be giving my “Sheep to Shawl” talk on the history of Pendleton, with a slideshow of archival photographs, advertisements, and ephemera from their vast archives – you can see some of these beautiful things as part of the historical timeline in Hand-Stitched Home! 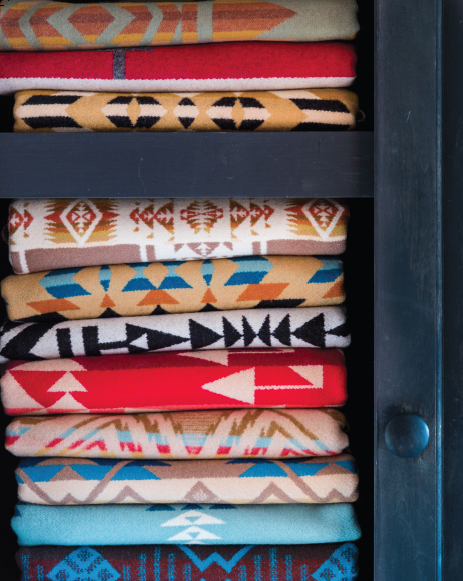 But I’m excited to share much more of the richness and detail on Sunday… if you love Pendleton, or fine fabrics, or American history, their story is so captivating. I’ll also get to share dozens of their stunning fabrics, from the first Indian trade blanket jacquards to the colorful, crisp plaids the Beach Boys made an iconic part of music history – many still in the line today. And I’m bringing my favorite book projects from Hand-Stitched Home, too, like my Improvisational Wool Quilts and Picnic Blanket. If you’ve ever wanted to get any of my books signed, the library will have them for sale! And just as mentioned above, the Pendleton Woolen Mill Store is graciously offering each Sheep to Shawl attendee a gift bag to take home with them. Thank you so much! I hope to see you there! It’s this Sunday, February 7, happening several hours before you’ll need to get to your Super Bowl (or Puppy Bowl) Party, in the beautiful Lake Oswego Library (details below). Art is most importent part of my life. So i always do painting. On the when it will be easy to art on the playstation that is why I play ever on psn with free codes. thank you for starting this upward. This site is something you may need on the internet, someone with a little bit of originality!